had a great lunch with my daughter at The Clan Restaurant at Bukit Pasoh. We had the 5-course set lunch. This my second time here – I was here with wife 3 weeks back. We both liked the food. The Chef, Ken Teo, was formerly the Executive Chef of Dozo, and we have always liked Dozo’s food. The price of the 5-course lunch, S$42.80 (6-course dinner S$63.80), is slightly higher than Dozo (& w/0 the cooler drink), but I think overall the food quality is better. 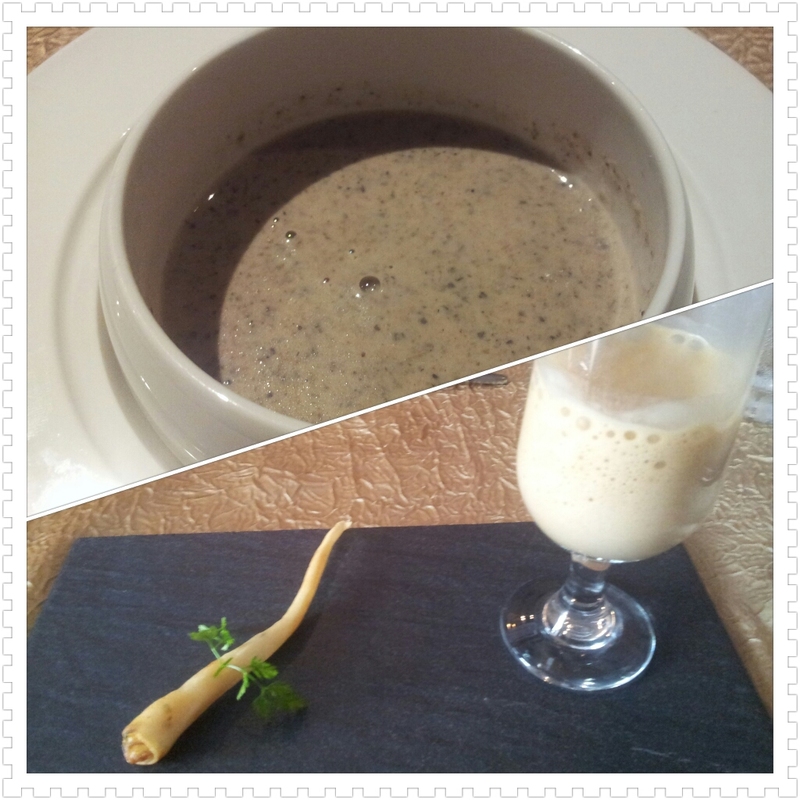 There are 5 choices of appetizer & dessert, 4 choices of soup & 6 choices of main course. just like Dozo, we started with a nice thirst quencher. The Chef Starter is a trio comprising duck rillette, pan-seared scallop with lots of foam (this is very good & definitely better than Dozo) and a salmon mouche cone (Dozo serves a smoked salmon, tiny pan-seared piece of foie gras & pan-seared scallop). Next we had a choice of appetizer. I had the bamboo clam. This was really very good. the clam was very sweet & bouncy fresh, and the ikura (salmon roe) flavour & saltiness combined very well with the shellfish texture indeed. daughter had the deep-fried foie gras, which was not a common preparation. I stole a bite. It was different & quite good, not sure it would become popular enough to be avant garde but unlikely to displace the all-time favourite pan-seared caramelised foie gras anytime soon. 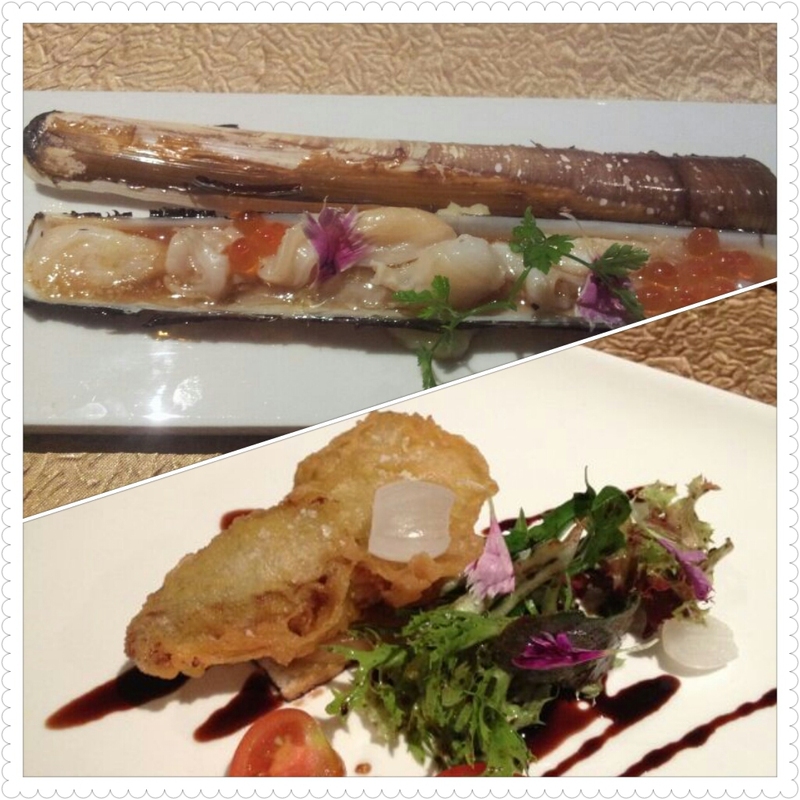 In terms of quality, quantity & presentation, both these appetizer choices certainly qualified as appetizers in a 3-course lunch in a fine-dining restaurant, nevermind a 5-course lunch priced at S$35++pax after 15% discount. Next up is the soup. I had the cepes mushroom bisque. It was very good, maybe slightly more quantity-wise but not much different from Dozo. daughter had the crab bisque which came with a prawn twister. I think this had a lot more foam than that served at Dozo & was overall better. Next came the 48hr beef short ribs served on hoba leaf on a lava stone. I really, really loved this dish. The quality of the beef was much superior to that at Dozo. 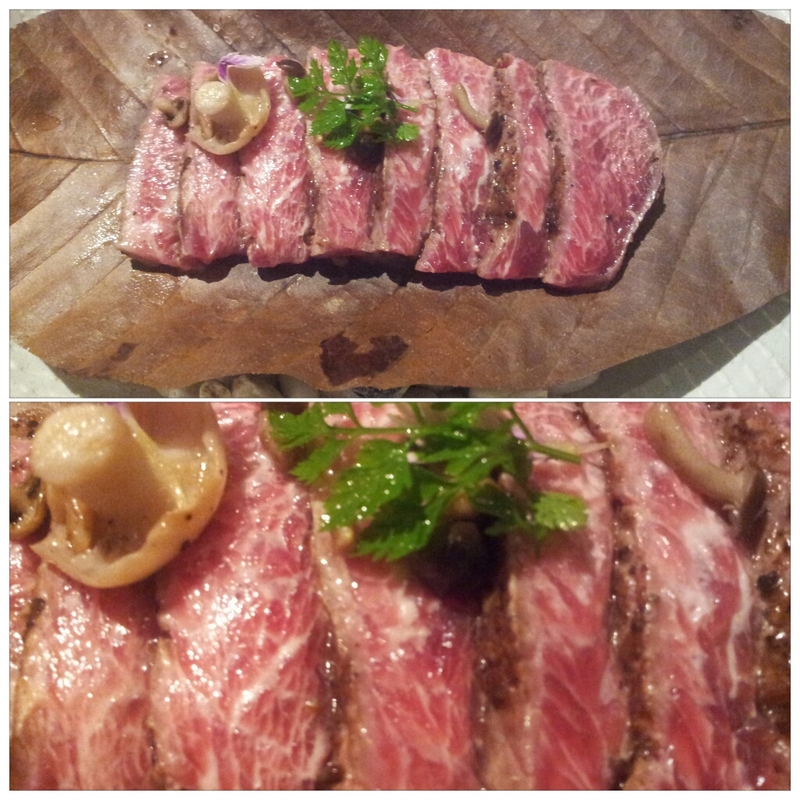 The meat was just so sweet & flavourful & the texture was just super. For the dessert choice, daughter had the chocolate lava cake. It was good but daughter thought it was no better than the one I made at home and perhaps my 70% cocoa chocolate flavour was indeed better. I had the 4-cheese platter-good stuff! This entry was posted in Buon Appetito! 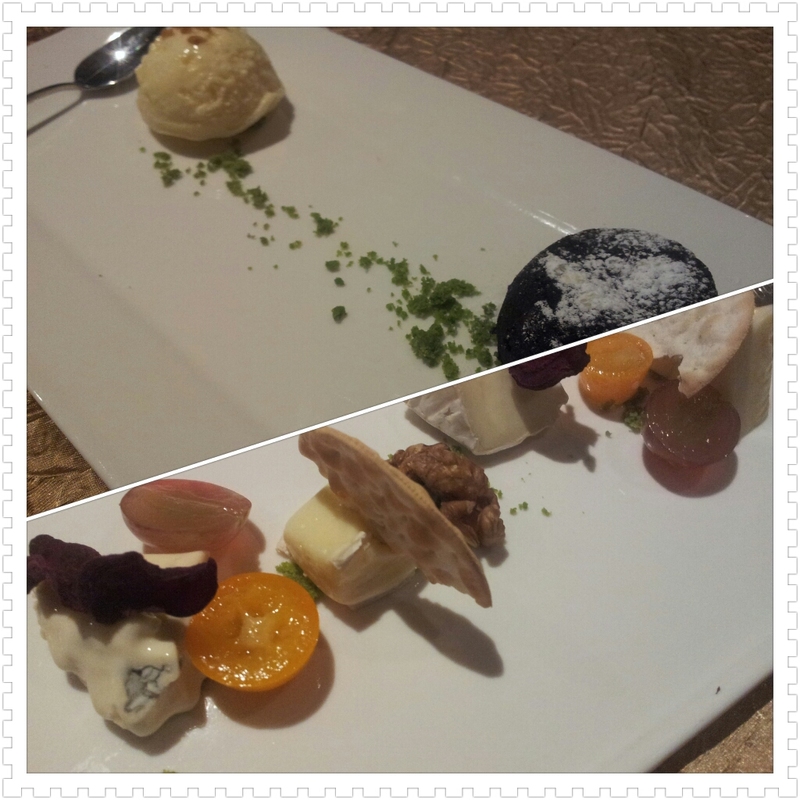 and tagged bamboo clam, beef, Bukit Pasoh, cheese, crab bisque, foie gras, mushroom soup, razor clams, scallop, The Clan. Bookmark the permalink.